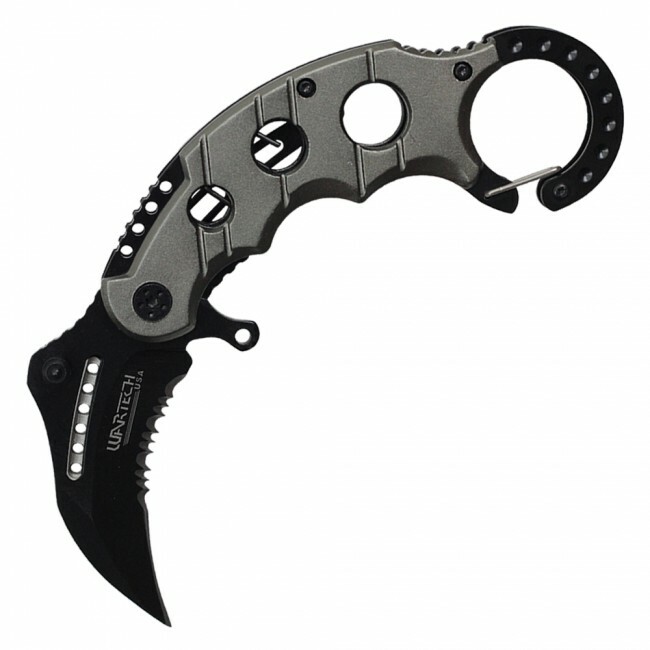 8" Tech Karambit Action Folding Knife. 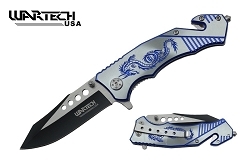 Half serrated blade. 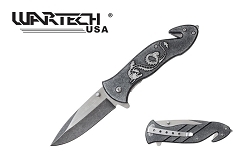 Heavy, easy grip handle. With clip.